minecraft africa map | Surviving Minecraft, Minecraft Adventures! The unofficial theme of this week seems to be very large minecraft map downloads – and this one is no exception. SAHARA! is a minecraft desert survival map 12,000 by 10,000 blocks in size. It would take you an estimated three quarters of an hour to walk from one side of this minecraft map to the other. (Using the commonly accepted minecraft walking speed of 4.31 blocks per second.) To put it another way, it would take you roughly two and a half minecraft days to traverse the map, walking in a straight line and not stopping to eat, or battle endermen or zombies or any other mobs that might get in your way. Sahara is an epic minecraft survival map, which uses the concept of very large spaces to make the toil of exploration worth it. The only thing that this map is missing is a thirst mod and some circling vultures to give full effect. 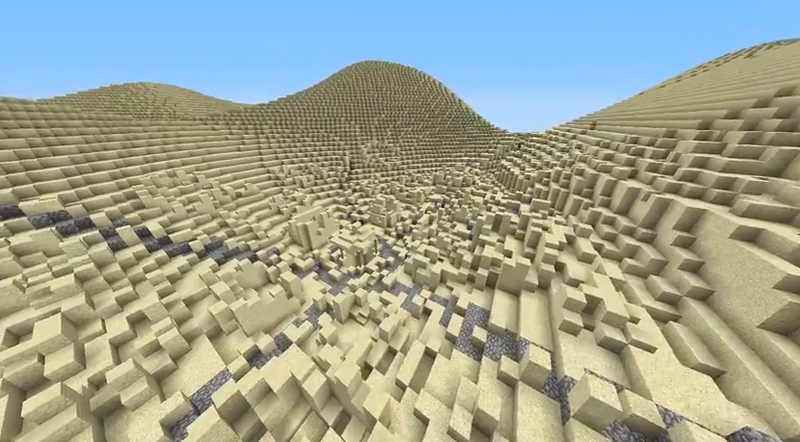 Click here to download a giant minecraft desert! This entry was posted in Survival Maps and tagged minecraft africa map, minecraft desert map, minecraft desert survival, minecraft sahara map on February 27, 2013 by Hope. 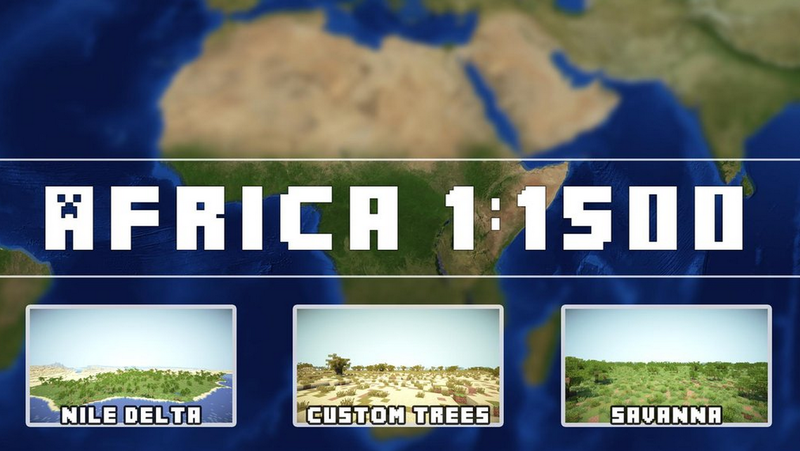 Download a map of Africa, rendered to scale in minecraft. This minecraft Africa map is especially impressive as it replicates the terrain and biomes of Africa with new minecraft trees and provides you with a large expanse of land to explore and build on to your heart’s content. This minecraft map is perfect for large servers who aren’t afraid of a little lag, or for people who like playing realistic minecraft survival maps. This entry was posted in Minecraft World Save Files and tagged minecraft africa map, minecraft earth download, minecraft earth map, minecraft map of africa on February 25, 2013 by Hope.